For residential property the safest way to proceed in dealing with possession is to seek an Order for possession from the Court. If a tenant then refuses to give up possession the Claimant can then enforce that Order but will need to apply for a Warrant or Writ of Possession. Where a Possession Order is made in the County Court, the case may be transferred to the High Court for the purposes of enforcement. Landlords often choose to transfer Possession Orders to the High Court because it is often the case that High Court Enforcement Officers can carry out an eviction quicker that County Court Bailiffs. In general, the Court’s permission is required to issue a Writ of Possession and permission will not be granted unless it is shown that every person in possession of the land has received notice of the proceedings. In the recent decision of Partridge v Gupta the High Court has given guidance of what constitutes “notice” for these purposes. Contrary to the decision in Secretary of State v Nicholas, the Court held that notice of the proceedings did not necessarily require service of a formal application form or even a more informal intimation by letter that the application will be heard on a particular day. According to Patridge all that is required is that the occupier knew enough about the proceedings to apply for relief. Where there are occupiers other than the Defendant, the letter should be addressed to them (if known by name) or otherwise “the occupants” with the same information as above. A prudent Landlord should ensure they follow the Court’s guidance from this case in order to recover possession as quickly as possible and not to fall foul of any procedural requirements. 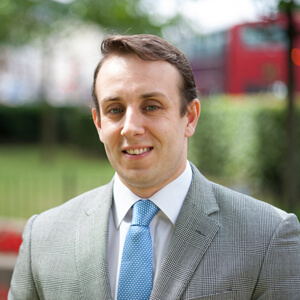 If you are a landlord wishing to seek possession or a tenant facing eviction and you require any advice you should contact Mr Adam Palmer on 020 7354 3000 or adam.palmer@colmancoyle.com.